Cost-effective alternative to GRP enclosure. Flat, 2° degree sloped roof. Three-point locking system as standard. 4003 grade stainless steel sheet – 2 mm thick. Powder Coated. Standard colours available at no extra cost. Flat, 2° degree sloped roof also available. Not the enclosure you are looking for? For a similar sized enclosure with segregated bays and a similar backboard size of about 1770 x 1502, see the PS300 Enclosure. Alternative external dimensions (Height & Depth). 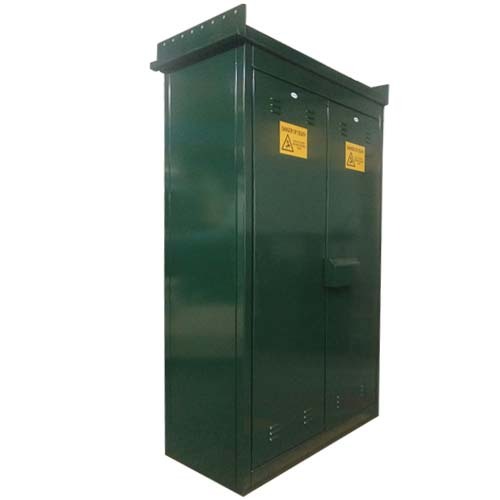 Referred to as RMC, this enclosure is designed to cater to your electrical applications. The RMC range of enclosures is manufactured from stainless steel and suitable for external use with the same 25-year guarantee as our other stainless steel enclosures. The RMC range comes in three widths: 1250 mm, 1600 mm, 2100 mm. We are manufacturers and the RMC has been designed to work around customers’ requirements and not the other way around! Please call us to discuss your requirements further. The cost-effective alternative to a GRP enclosure. Fitted with a whole backboard. Standard colours at no extra cost. Typical applications include powering EV charging points.